Mike will be playing the boardgame “Thunder Alley” by GMT Games. This is a multi-player card driven Indy Car racing game where each player controls a team of 4 cars. Plenty of space for other to join in the fun! Tonight will also see the opening engagement of the “Hops Wars” with John taking on Stuart. 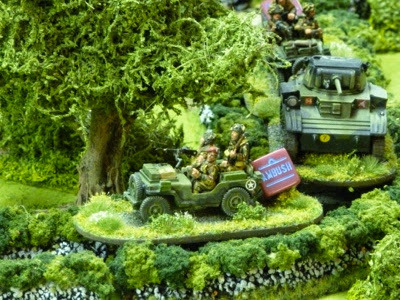 This is a fictional multi-player campaign being run by Stuart that sees each club member controlling a small fictional Central European state in the post-Malburian / pre-Napoleonic era based on their favourite beer (or aperitif – Andy?). 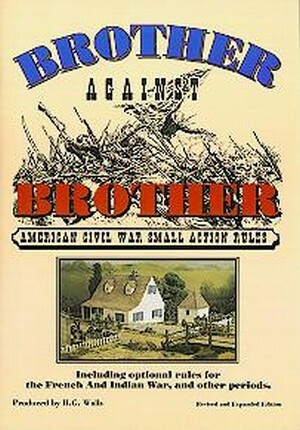 Current plans are to hold a game of Brother vs Brother which is a skirmish game covering the American Civil War using 28mm figures. The game is ideally played as a 1 vs 1 or small teams per side which will leave plenty of room for others to setup something else if they wish. A Big Game and a Bon Voyage! My local club wanted to organise a big game over the xmas period to give one member a send off as he was departing for a cushie job in Paris! 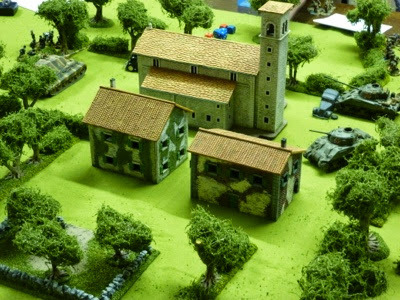 We have a lot of Bolt Action stuff, it’s easy to play and remember too so I quickly put together a series of three linked games with a narrative combining them whilst the other guys concentrated on pulling the venue, figs and terrain together. I knew that we had a Pegasus Bridge board so our first game was a night time attack by British Paras. To throw a couple of spammers in both sides works however added a rule that if a unit hadn’t fired it couldn’t be seen due to the darkness until it was within 12″. 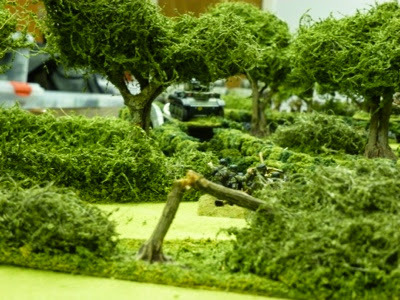 Give that the german defenders of the bridge had to get a chance to fire and the British had to get a chance to cross the bridge I made the defenders Osttruppen but gave them attached MMG’s. Great for shooting, but only if they pulled themselves together and had targets close enough to see! 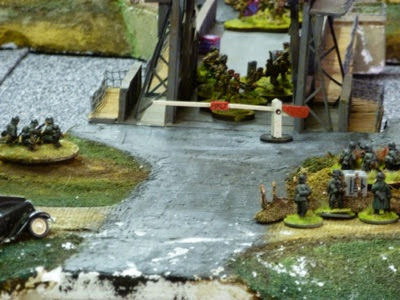 Meanwhile the darkness rule meant the Brits actually had a chance of capturing the bridge. 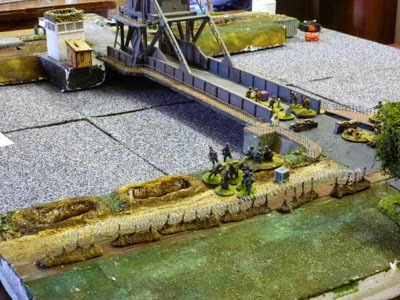 The first squad tied down the Germans on the south side whilst the other two pounded across the bridge. After taking some casualties to mg fire first one squad then another decoded the best thing to do was to assault the german foxhole! Result masses of spend brass casing and a bunch of dead para’s! 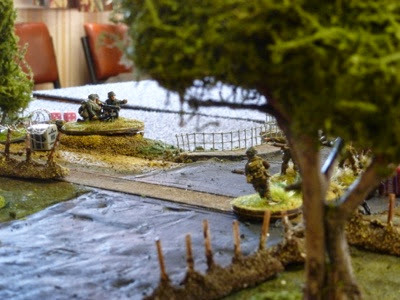 However the section on the south side of the river had by now caused the poor Osttruppen some serious damage and so at with both sides at tipping point we called it a draw……, cleared and reset the table and went for lunch! 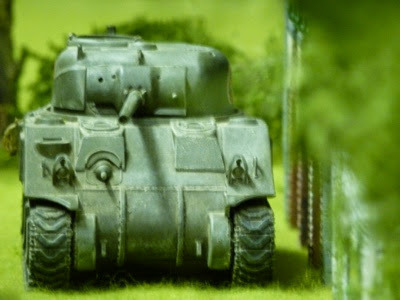 and a Tetrach light tank led the way, backed by 3 Sherman’s and 3 squads of regular infantry. 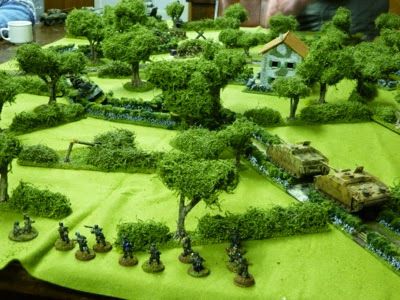 However the Germans seemed to be aware of their advance and cunningly prepared a pak40, panzershrek and mmg team amoungst the hedgerows. 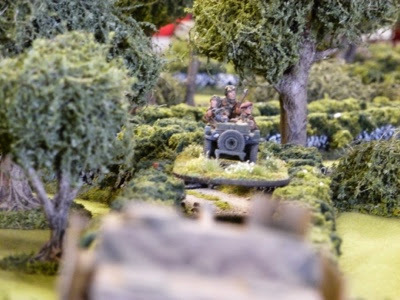 One squad of Fallshcirmjaeger took over a farmhouse while a second squad escorted two StuG III’s through the hedges. The Germans bided their time as the first jeep drove past and opened up the Pak40 on the Tetrach. 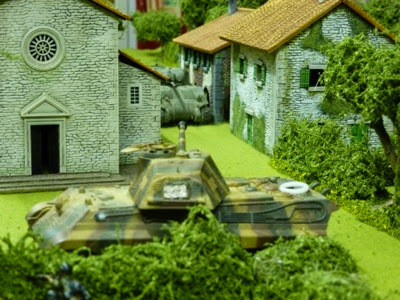 The poor crew were deafened by the shell piercing the thin armoour of the tank, but it survived, the jeep however came to an abrupt stop as it rounded the corner, and came face to face with a StuG. The driver slammed in the break and shaved the gears into reverse, moving back up the road and into the driveway of the farm…..Ooops! Shot at by its occupants the crew jumped out and dived thru the hedge, assaulting the gun and killing the crew but were then hit by fire from the farm. 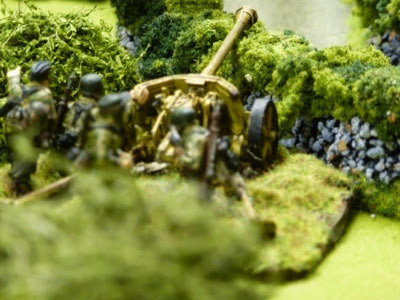 As the Brits became aware of their enemy they tried calling in artillery support, but the confused message resulted in the rounds landing on top of their own men. The Tetrach recovered but couldn’t reverse off the bridge and caused a roadblock as the StuGs moved up. 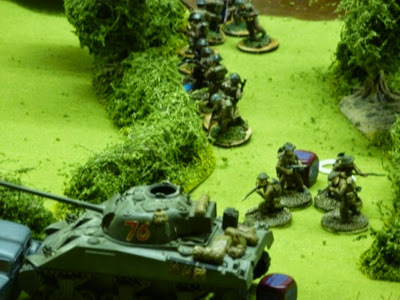 The supporting British infantry fanned out into the fields but were hit by the MMG. Chaos reigned and casualties mounted and in the end the Brits called off the advance and headed back the way they came. 1 Draw, 1 Axis win. All to play for in Game three! By now we were pushed for time and revised the scenario to reflect that. 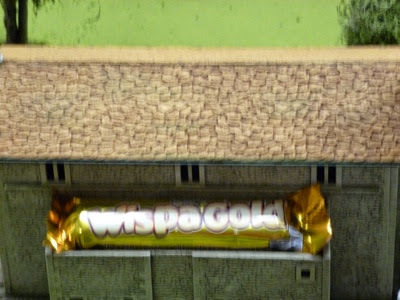 The British were now advancing on a small town which, according to Intel, was being used to store something important in the church vaults – a chest of Gold bars. This time the allies thundered in and the defending german para’s gave them merry hell as the advanced, using the church as a strongpoint and blazing away. However it didn’t take long before the Brits were approaching the main square. Two Sherman’s advanced on either side of the church towards a large german tank, sitting immobile with damaged running gear. One sherman got a little ahead of itself and poked out round the side of the church. The driver was horrified to see the tank was in fact a King Tiger and its turret was rotating toward him! The gunner, made of sterner, stuff slammed a round into the breach and fired – just as the tiger got off its shot and the sherman blew to pieces in the street, taking out part of a nearby house. However it got a lucky shot and its 75mm round pierced the side armour and knocked out the Beast! By that point we’d ran out of time…. The church door opened and a Fallshrimjaeger officer stepped out with an offer. Let them go and they’d split the gold, make them fight and they’d blow the church to pieces around them…. The Brits, tired and in no mood to tangle with such an obvious head case agreed! By nightfall the two sides were heading into the countryside with some rather shiny gold bars…..
All in all a great send off for Ross and a great set of games! Much laughter, silly accents, jokes, movie references and lines were expended during the day and who could ask for more?